Beautifully designed. Unlocked. Edge-to-edge display. 128GB of storage. And now with the latest version of Android 9 Pie. All at an unbeatable price. Essential Phone comes in several unique colors to match your style -- Ocean Depths, Stellar Gray, Copper Black, and Halo Gray. We understand that you won’t use a 360 camera to capture every moment in your life. That’s why we put so much effort into developing one of the world’s best phone cameras. The result is the world’s thinnest dual camera system built for a phone. It uses both color and monochrome sensors that can capture up to 200% more light than traditional phone cameras. This results in stunning images that are rich in color and detail, even in low light. The phone also offers a true ‘monochrome’ mode. There’s a reason titanium is used to build rockets and replace bones. 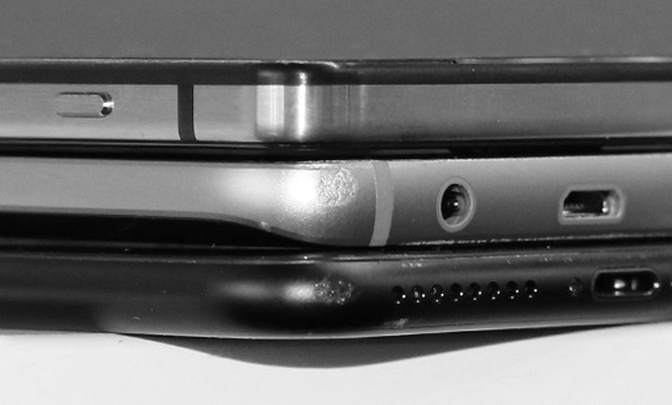 Unlike aluminum, which most phones are made of, titanium is exceptionally more durable. Our phone housing can resist scratching, denting, and bending as it's made from a harder, stronger, and more resilient material. The drop test. We drop tested the Essential Phone on solid concrete to ensure that your phone could survive a bad accident. See it in slow motion. *Tested on Essential Phones with Natural Titanium finishes. When performing a corner drop test on solid concrete, the Essential Phone’s titanium enclosure survived the fall with significantly fewer blemishes compared to the aluminum competitor devices. Unlocked phone. Compatible with all carriers. No traps. 128GB. Essential Phone is only shipping to the U.S. and Canada at this point. We hope to expand our shipping opportunities to other countries soon, so stay tuned. when products ship to new countries.